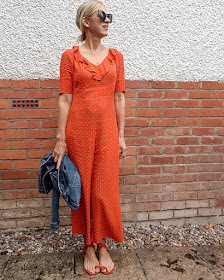 Meet Sue, who's 53 in a couple of weeks, and she lives in Altrincham, Cheshire. 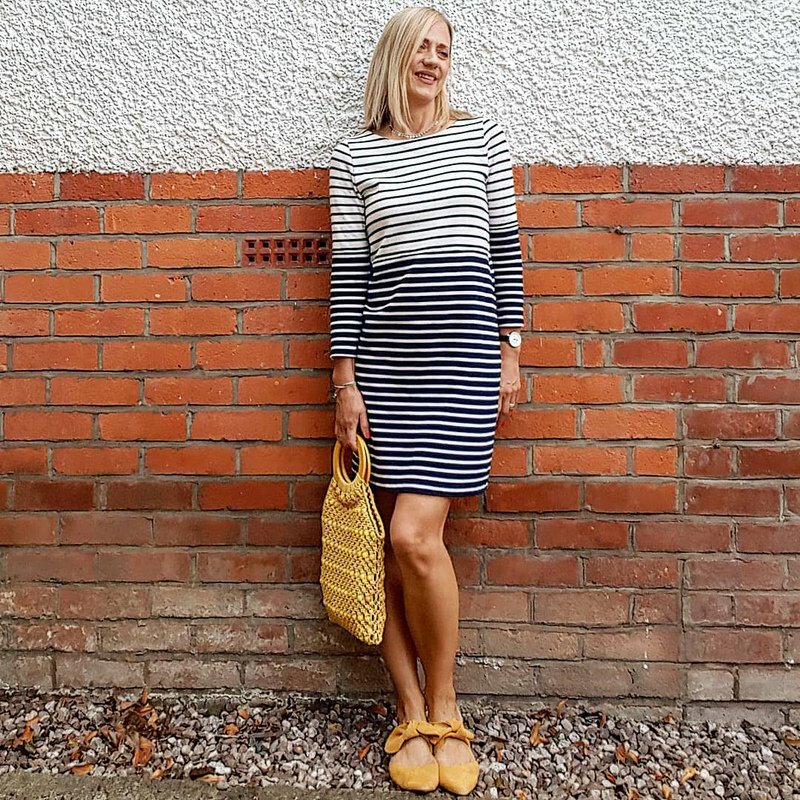 Her hobby is being a fashion blogger for the Highstreetedited and she has a fabulous and inspirational Instagram account called @SUELOVESFASHIONOVER50. 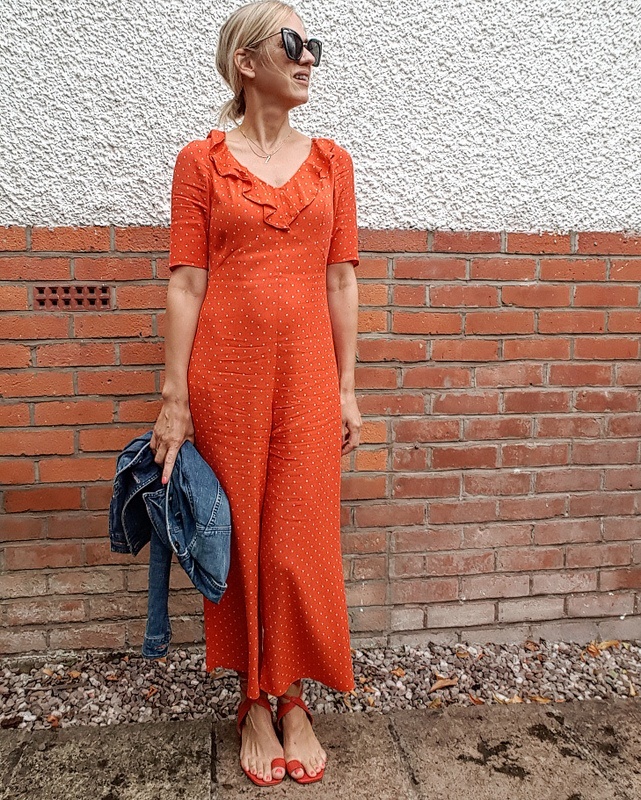 I was really keen to feature Sue on STYLE MATTERS because fashion doesn't stop at 40, and Sue proves at 52 that fashion and style is just as important in her life today, as it was as a child playing dress up - something we both have in common, very much! Sue and I hope you love the interview! 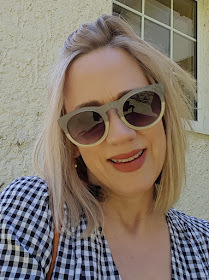 I would say my current style is eclectic and fashion-led with a pinch of edginess. 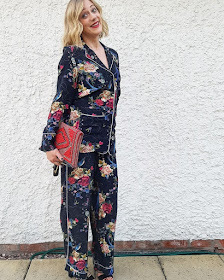 Style is an important part of who I am – wearing stylish clothes makes me feel put together, more confident and most importantly happy. Yes, I have. I used to love dressing up as a child and putting outfits together – I remember my mum wasn’t always very impressed with my ideas! I loved (and still do love) shopping for clothes with friends, and would spend any spare pocket money on a new outfit. This is a difficult one as I don’t really have a “signature look”. I have recently started to try to shop my wardrobe more and buy new pieces with more consideration instead of continually impulse buying. I think through doing this a signature style will emerge! I do however like edgy pieces and enjoy pairing chunky boots with a skirt or dress or dressing head to toe in leopard print. I love both, but as mentioned above I think that buying too many fashion pieces can actually mask your own style. Stand back, take a look at the pieces that you have before buying fashion pieces that will enhance what you already have. Also, keep hold of the pieces that you love – fashion is cyclical so in another 3 to 4 years you’ll discover that you already own the “must-have” piece of the season. I would say my body shape is “rectangle” (I have just googled this by the way!) I am 5 foot 8, and slim – I recently slimmed down from a large size 10 to a size 6/8. I am quite flat chested. 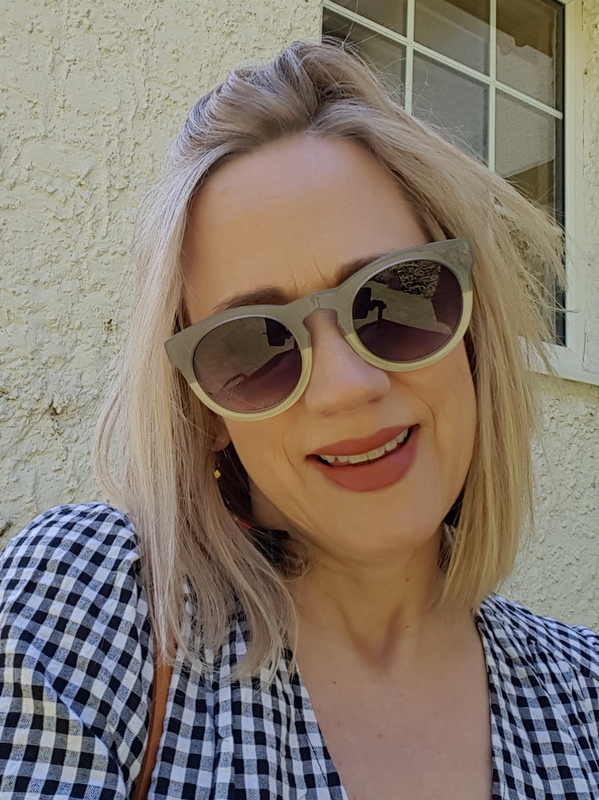 Since having children I am prone to weight gain around my tummy but I am trying to combat this by exercising regularly (4 to 5 times a week) and by clean eating (although chocolate is a temptation I find hard to resist). I worked this out for myself with the help of Google! What is the best thing about being a rectangle? Most pieces tend to fit, and I can confidently order pieces I love online, knowing that 9 times out of 10 they will fit well. What’s not so easy about being a rectangle? As most items tend to suit me it is difficult to decide which are keepers and which are not, and I end up keeping far too many! What three styling tips do you have for a rectangle? As for most body types, wear a well-fitting bra to define the bust you have. Use belts on dresses and jackets to give shape. Be bold – try out different dress/skirt lengths, clash patterns, add different textures – and experiment with different types of footwear to also add interest. What must you avoid (regardless of if it’s in fashion) for your rectangle figure? Avoid shapeless clothes – smocked tops and voluminous dresses. If you are keen to add curves, then avoid straight dresses. But my mantra is if you love it wear it, so feel free to ignore this advice! Oh this is hard – there are so many that I love! 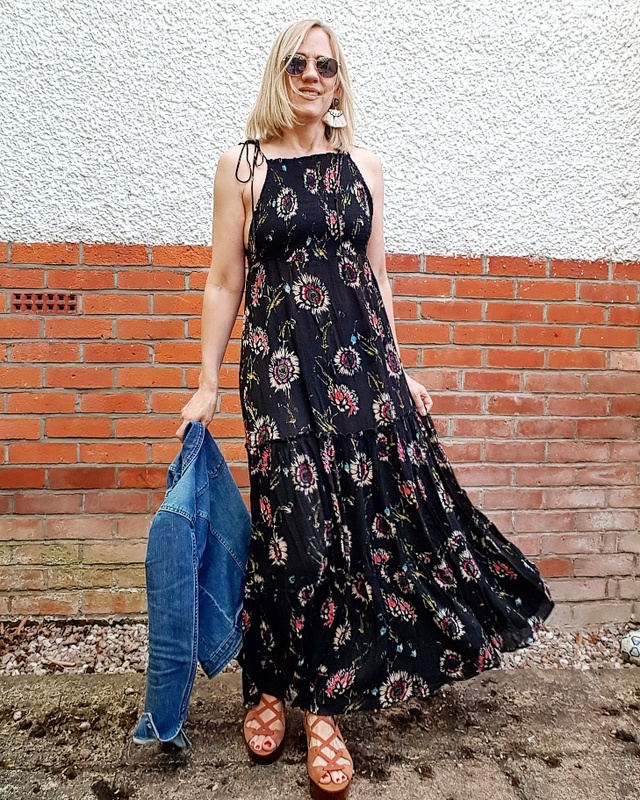 Most of my shopping is done online as I don’t find the time to visit actual High Street stores between work and family, but here goes..
H&M – a quick fashion fix which doesn’t cost the earth, arrives quickly and is easy to return. M&S – they are really upping their game. Each season they include more fashion-led pieces at affordable prices. Always worth a look. 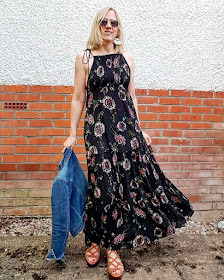 A Zara maxi dress in an autumnal print that I bought 3 years ago and wore for my 50th birthday celebration. I’m looking forward to wearing it again very soon! You can follow Sue on Instagram by clicking here and you can follow her blog, Highstreetedited by clicking here too! 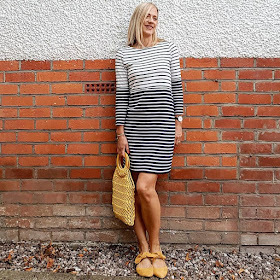 The post STYLE MATTERS - BY SUE FROM @SUELOVESFASHIONOVER50 was on Loved by Lizzi first.